Ranked as the top city for Millenials in 2017 by Growella, Durham is a popular place to call home. The area near downtown Durham is rapidly growing, with tons of new businesses opening each year. Living near downtown means there’s never a shortage of things to do! You can watch a Broadway show at the Durham Performing Arts Center, an independent film at the Carolina Theatre, live music at Motorco, and a baseball game at the Durham Bulls Athletic Park. Downtown is also home to award-winning restaurants, art galleries, unique shops, and more. While we love all the neighborhoods near downtown, we’ve narrowed down the choices to the top five! Read below to learn more about each neighborhood, and follow the links to explore homes for sale in these neighborhoods. 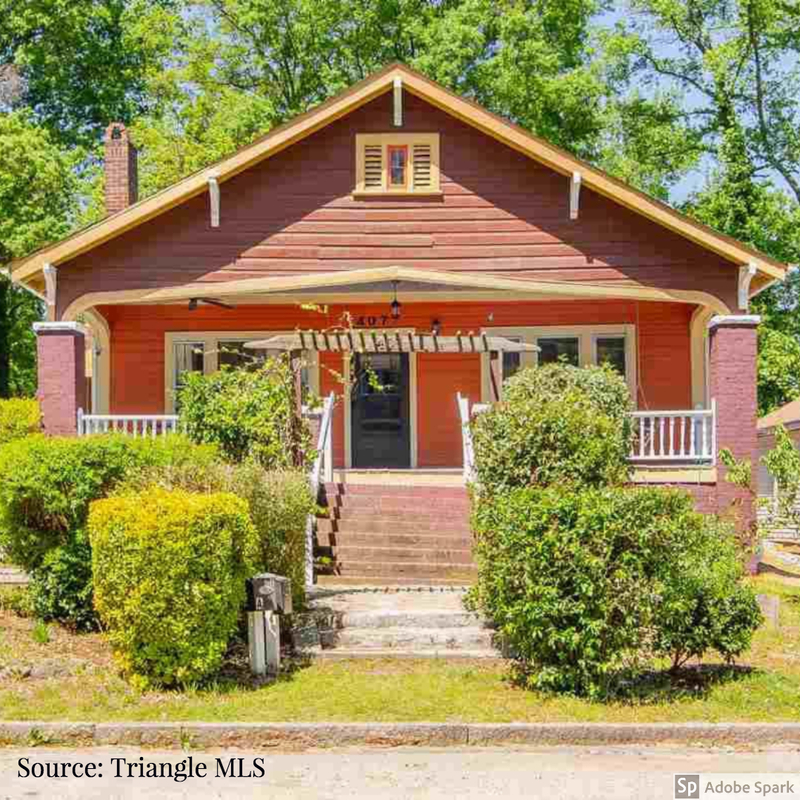 Cleveland-Holloway is a beautiful neighborhood developed in the late nineteenth century, located east of downtown Durham. We may be a little biased, since we’ve called Cleveland-Holloway home for a few years, but the neighborhood’s proximity to downtown combined with the beautiful, diverse homes can’t be beaten. 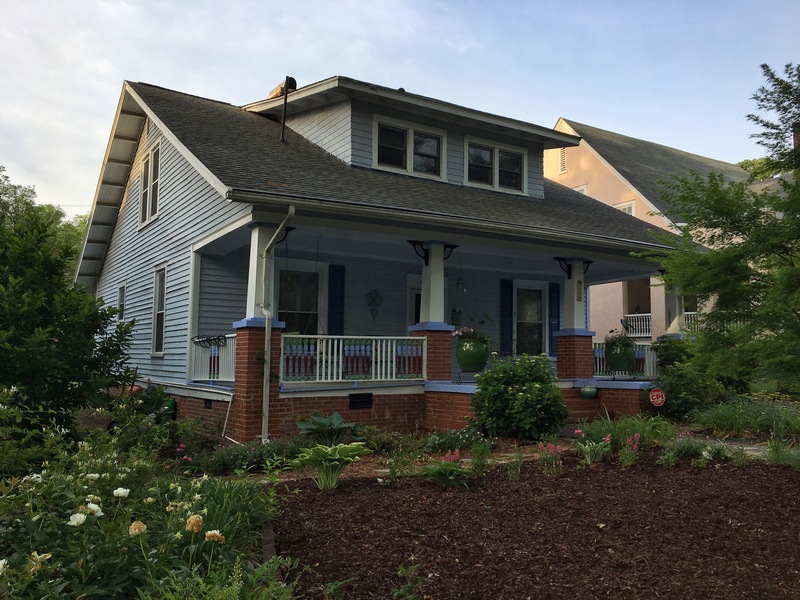 Cleveland-Holloway is home to many different home styles, including beautiful, ornate Victorian homes built in the late 19th century, as well as bungalows built in the 1920s, duplexes built in the mid-20th century, and new homes built in the last few years. Homes in Cleveland-Holloway are priced in the $200,000s to $400,000s. Homesites are relatively small, around .1 to .3 acres with a few larger lots throughout the neighborhood. 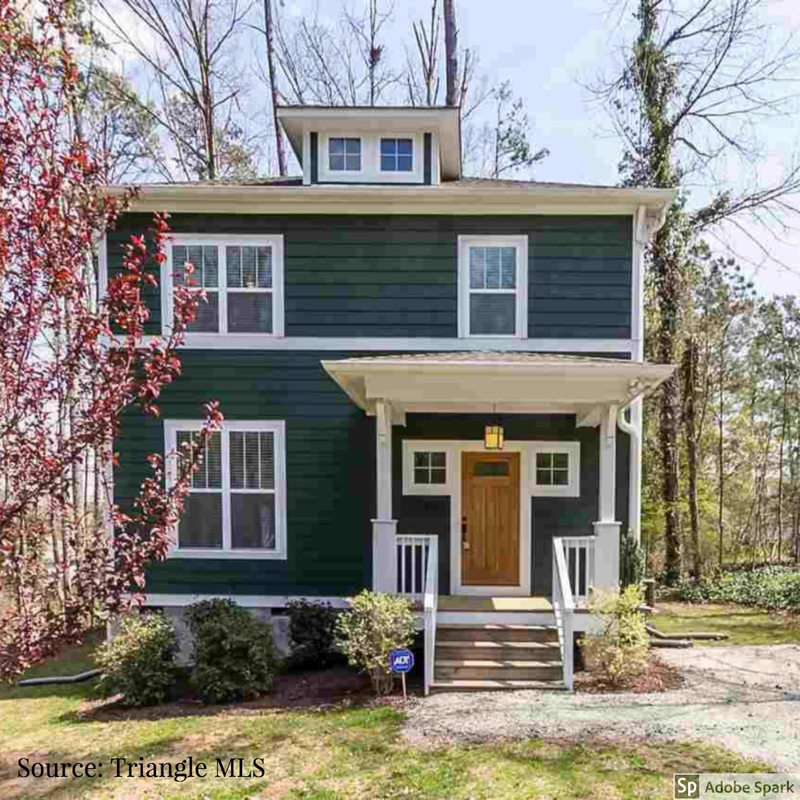 Trinity Park, one of the oldest neighborhoods in Durham, is home to some of the most beautiful homes in the area. The neighborhood is bordered by the Brightleaf district of downtown Durham and Duke’s East Campus. Trinity Park is unique for its walkability - unlike many neighborhoods near downtown Durham, Trinity Park has sidewalks throughout the neighborhood. Many homes are well-maintained with beautiful landscaping. Trinity Park is also next to Duke’s East Campus, which is bordered by a 1.5 mile trail. 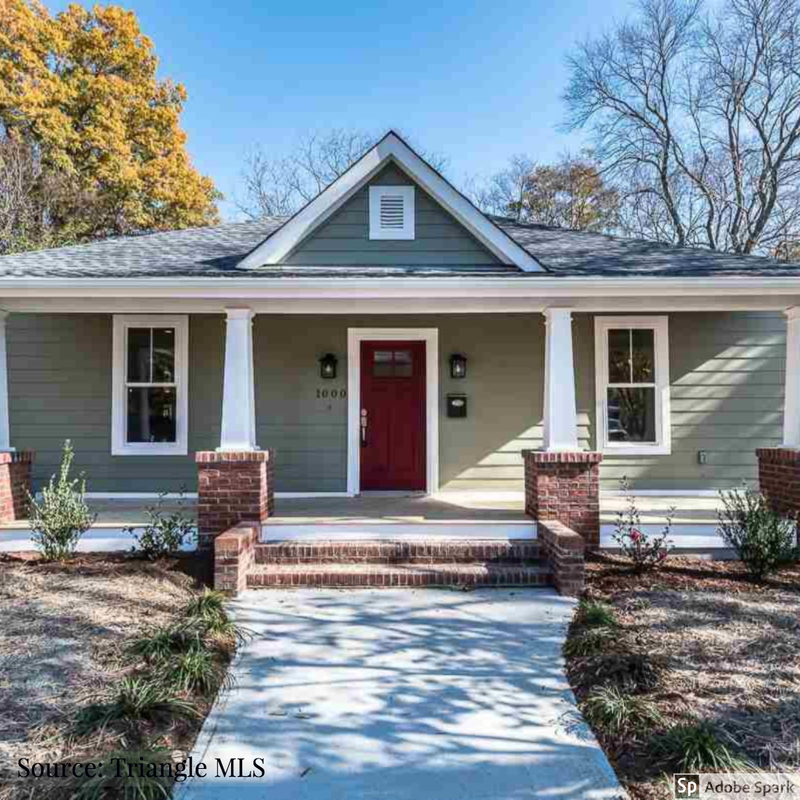 Trinity Park features a variety of homes, from large, traditionally styled homes to smaller bungalows. Most lots are around .2 acres. Homes are priced from the $200,000s to over $1 million. Lakewood features a mix of homes, with older homes built in the 1920s-30s and new homes built in the last few years. Homes in Lakewood are priced from the $100,000s to $500,000s. Another one of Durham’s oldest neighborhoods, Old West Durham is located west of downtown, and borders Ninth Street, a popular area between Duke’s East and West Campuses with tons of restaurants, shopping, and more. Ninth Street is home to some of the best food options in Durham, including Zenfish, Monuts, Happy + Hale, Pie Hole, and Burger Bach. Durham’s only Whole Foods is located just off Ninth Street. Houses in Old West Durham are mostly smaller, with most sized around 1,200 square feet, on lots around .2 acres. The neighborhood is home to a few larger homes as well. Homes are priced from the $200,000s to $600,000s. Duke Park, located north of downtown, is a beautiful, peaceful neighborhood developed in the 1920s. As the neighborhood continued to develop through the 1950s, Duke Park is unique for its many modernist and contemporary homes built around that time. Duke Park is home to a beautiful 17 acre park with greenway access, playgrounds, and more. While Duke Park is not as walkable to restaurants and shops as the other neighborhoods on the list, the green space and unique homes more than make up for it! 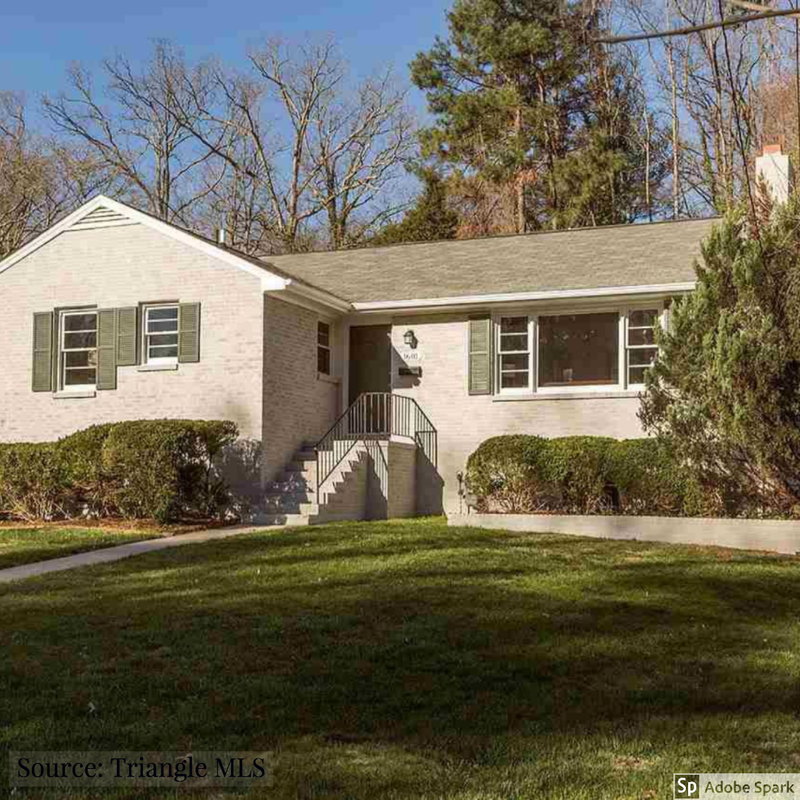 Homes in Duke Park are priced from the $200,000s to $600,000s. The older homes built in the 1920s and 30s are generally smaller, and situated on smaller lots around .2 acres. Homes built in the mid-twentieth century are usually situated on larger lots, around .5 acres, and many have basements. 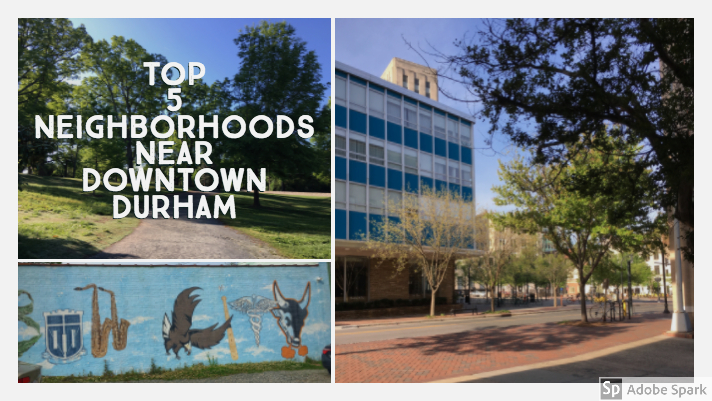 What's your favorite neighborhood near downtown Durham? Comment below to let us know! If you're interested in moving to one of these awesome neighborhoods, contact us today!